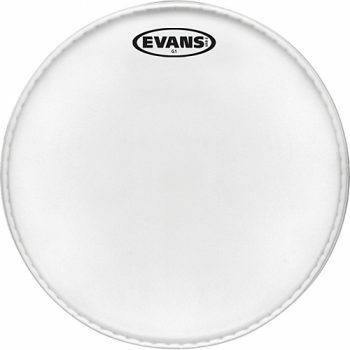 The Evans G1 Clear is an excellent choice for resonating bass drums and toms that are full of character. These drumheads are great as both batter and resonant heads, and are extremely versatile. The Evans G1 Clear is made with a single ply of clear 10mil film, creating a bright, full sound with a lot of sustain. 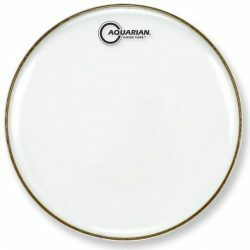 This is a very open sounding drumhead that will make your kick drum and toms sing when tuned high, and rumble when tuned low. Tune low and add dampening (such as Moongels) to get a nice fat deep thud. 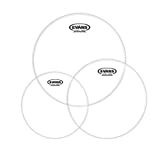 These drumheads are also very usable on snare drums when played with drumsticks (if you plan on using brushes, you’ll need a coated drumhead). 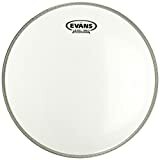 The Clear version of the Evans G1 is slightly brighter and more attacking than the Evans G1 Coated, and will give a full, open, and resonant sound. 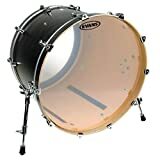 This sound is well suited for live playing, where the added brightness and attack helps your drums to be heard. 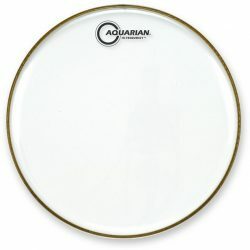 These drumheads will contribute a lot of character in low and medium volume situations. 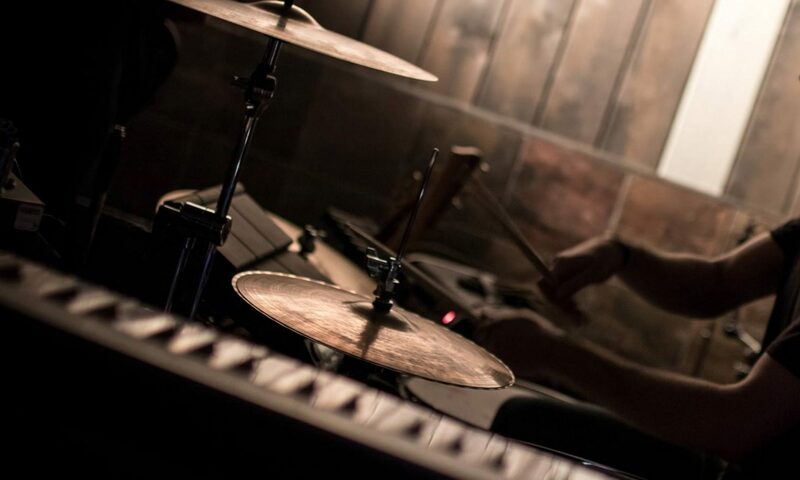 For louder volumes, the Clear G1 gives enough attack to come through fairly well, although in these situations you may benefit from microphones on your kit. The G1 Clear is also a great choice as a resonant tom or bass drum head, giving a very strong sustain and good depth to your drums, with a touch of brightness. As a resonant drumhead, the G1 can be paired with any type of batter drumhead. 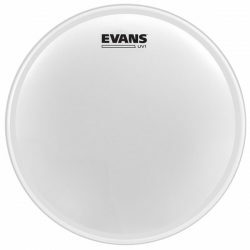 The Evans G1 Clear is a very versatile option – leave these drumheads open to hear the fullness of your drums, or control them with dampening to give more focus to the sound. 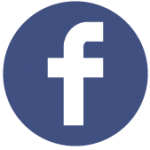 If you’re unsure of what to buy, the versatility of the G1 makes them a great choice.